After Nicodemus’s nighttime visit to Jesus, we are left wondering if he “got it”. Did he understand Jesus’ explanation about being born again? (John 3) We come across Nicodemus next in John, chapter 7, after Jesus teaches during the Feast of Tabernacles. The people are confused as to whether or not he is the Messiah and wonder what the chief priests and Pharisees have concluded. The temple guards do not arrest him and the Pharisees chastise them, saying that Jesus has deceived the guards, but not the Pharisees. Nicodemus is among them and it is said that none of the Pharisees believed in him. 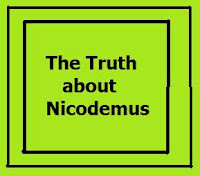 We can conclude then that Nicodemus’s mind was not changed. Not yet, anyway. He is recorded as saying, “Does our law condemn anyone without first hearing him to find out what he is doing?” Sounds to me like he is experiencing a few inklings of . . . what? Curiosity? Doubt? Wonder? Belief? 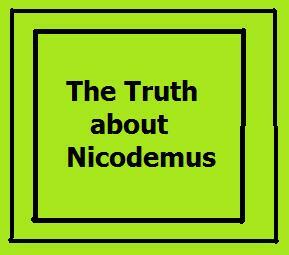 There’s an interesting conclusion to Nicodemus’s story that I’ll tell you in part 3.